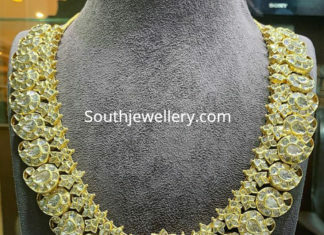 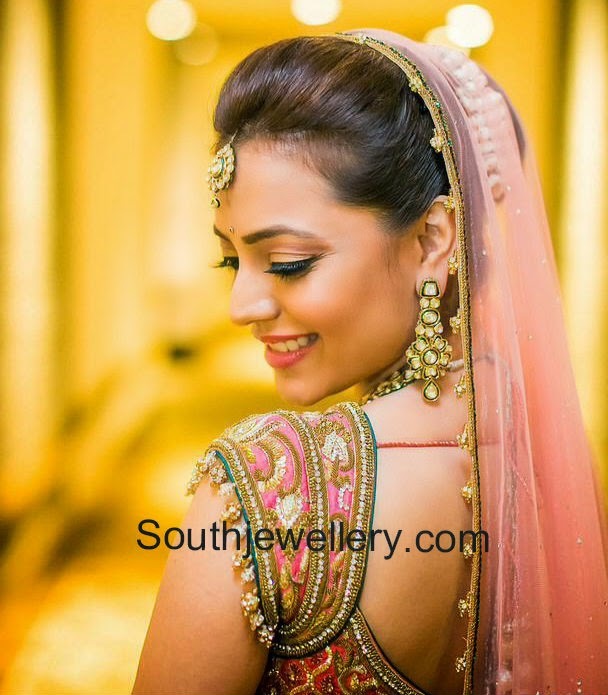 22 carat gold mango mala studded with polki diamonds by P Satyanarayan and Sons Jewellers. 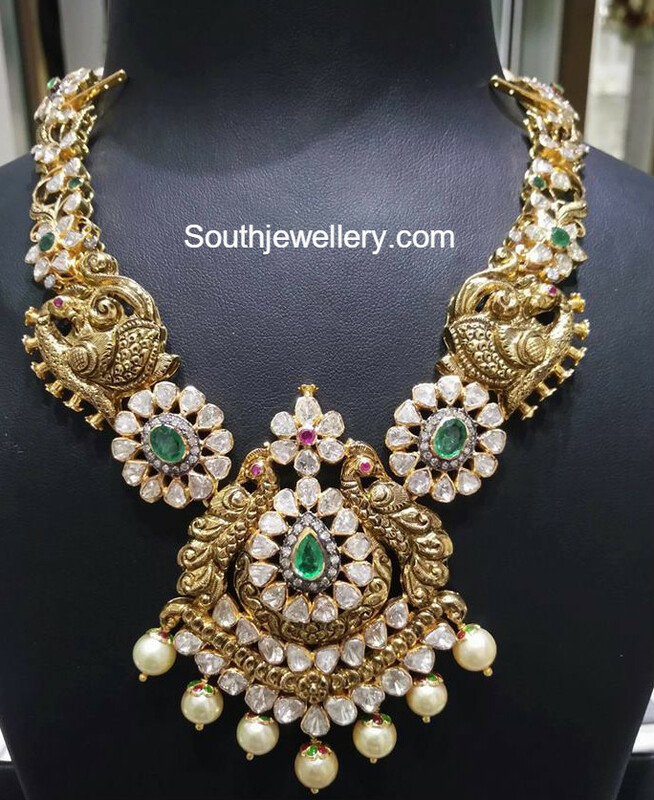 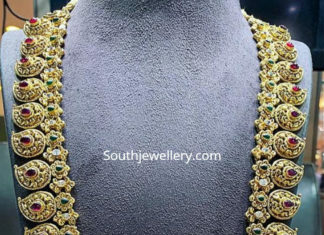 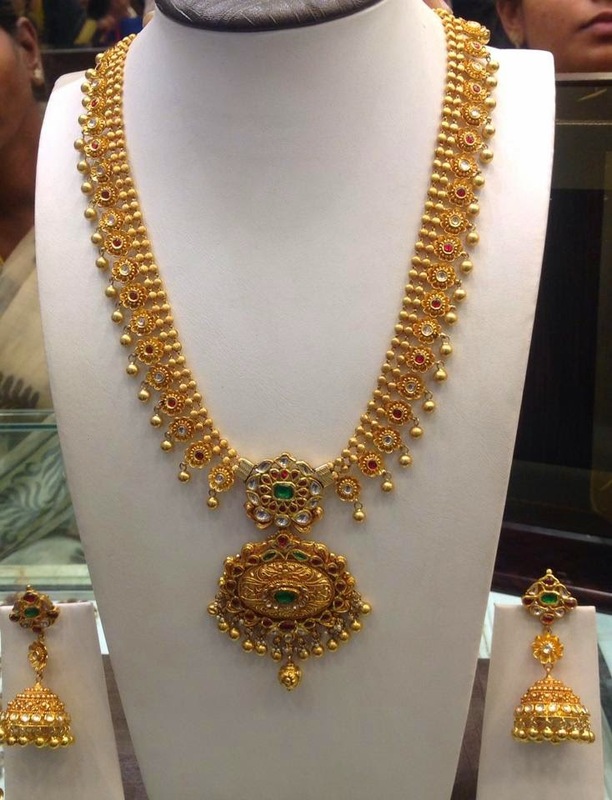 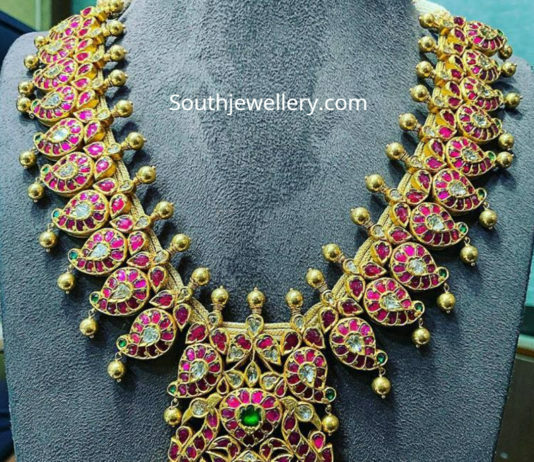 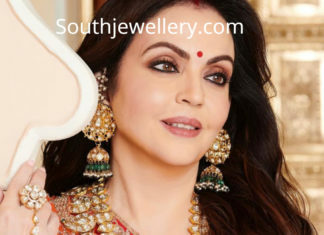 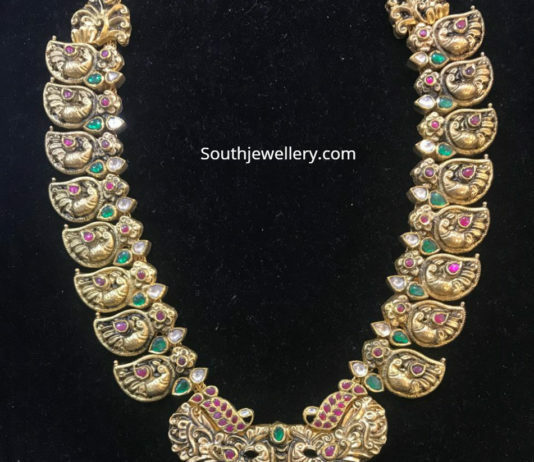 22 Carat gold antique nakshi mango haram with peacock pendant studded with rubies, emeralds and polki diamonds by P Satyanarayan and Sons Jewellers. 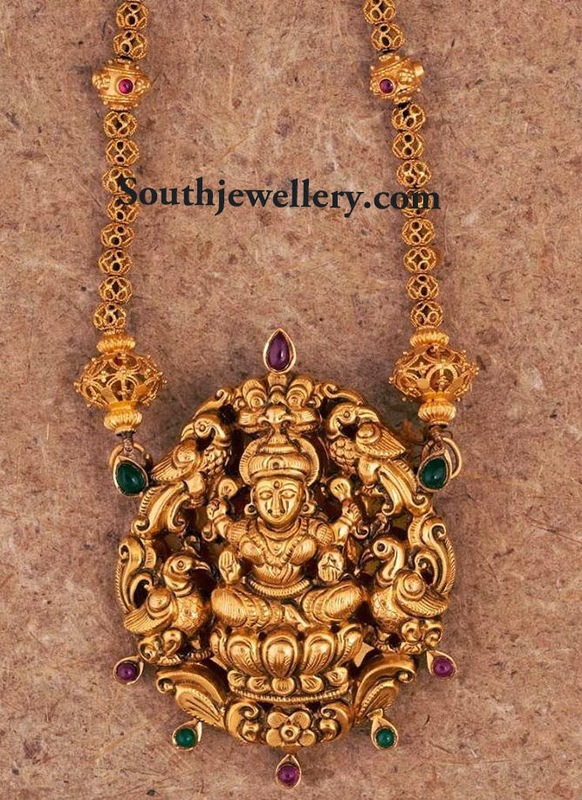 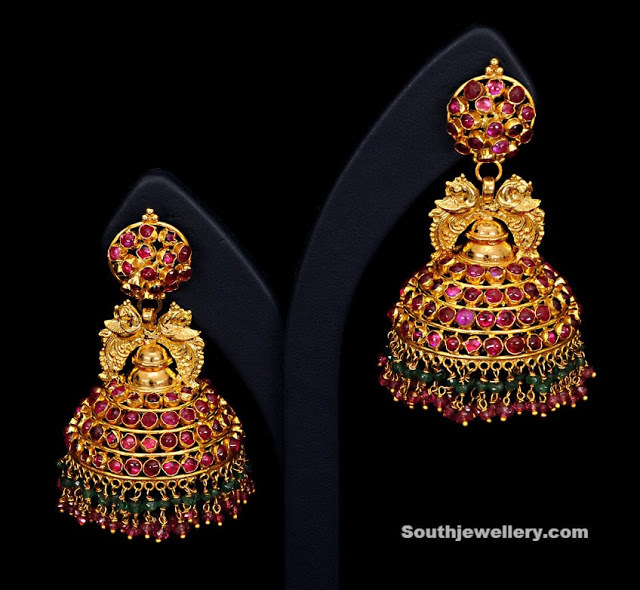 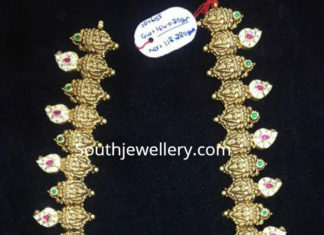 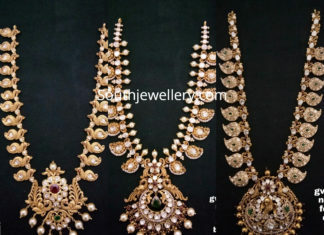 Antique finish gold Lakshmi pendant studded with rubies and emeralds.